Apple seems to be getting serious about artificial intelligence. The company named AI and search expert John Giannandrea to its executive team this week, after hiring him away from Google in April 2018. Giannandrea originally joined Apple to oversees the strategy for AI and machine learning across all the company’s products and services, as well as the development of Core ML and Siri technologies. For Apple, the new role of senior vice president of machine learning and artificial intelligence strategy shows that the company is increasingly focused on its future in advanced technologies. The announcement explains how Giannandrea and team will focus on integrating machine-learning technology into the company's products more tightly to provide more intelligent and natural experiences. But the increase mostly was driven in adoption for Alexa and Google Home devices. This year Amazon saw 31% growth for Alexa-enabled devices, compared with 17% in 2017, and Google saw 23% growth for its devices, compared with 8% in 2017. 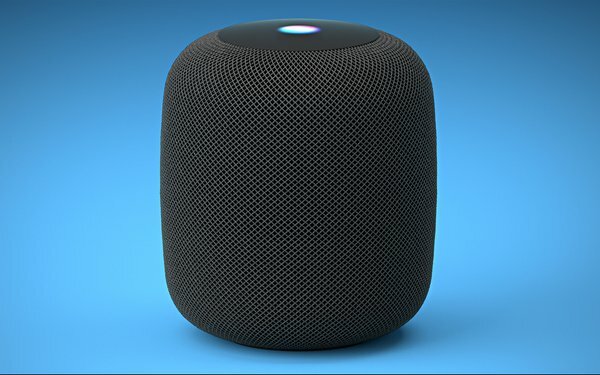 “This was the first time we asked about the Apple HomePod, and in terms of market share, Alexa-enabled devices continue to be the clear leader,” per the RBC research note. “According to our survey, Amazon’s share is likely at 66%, Google at 29% and Apple’s HomePod at 5%.